Silus Juru, seen with International PeacePlayers coach Bryan Franklin. A Brettonwood High School learner, Silus Juru, recently returned from Cyprus where he represented Brettonwood High and the PeacePlayers International (PPI). The aim of the trip was to participate in the Laureus Sports for Good Foundation course for leadership, facilitation, teamwork, communication and listening. The participants included two coaches from South Africa, other players from Israel and Northern Ireland and a number of PPI boys and girls from Cyprus. 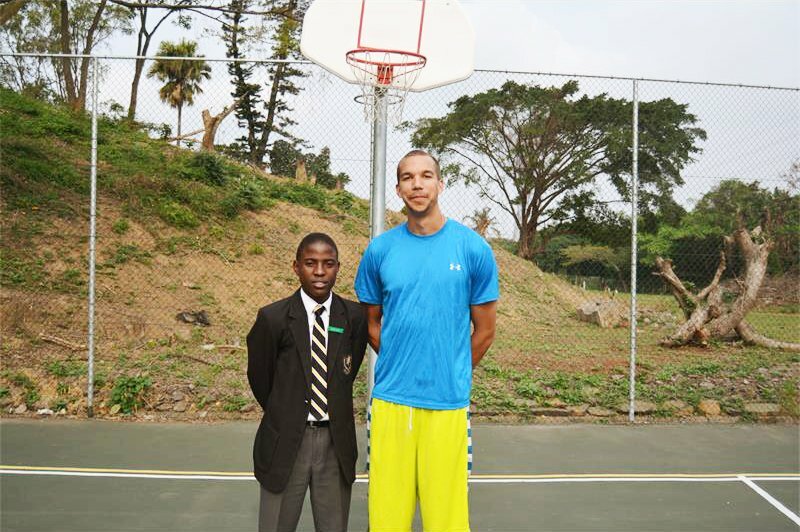 Silus was fortunate to meet Aaron James, a former NBA player from New Orleans Jazz, and won the Free Throw competition. The pupil thanked coach, Bryan Franklin of PPI, management and staff of Brettonwood High as well as PPI South Africa for their support and confidence in him. Hi there, how do I get involved. I’m willing to be trained and give of myself, to assist the youth in my community plagued by gang & drug violence. (Leonsdale, Elsies River, Cape Town, SA). Thank you. God bless the good work you do….